The Cambridge Bake Off – Ready, Set… Bake! It’s time to put on that frilly pinny and dust off those cookery books! … Introducing “The Cambridge Bake Off”! Sponsored by Tucker Gardner and organised by Caroline Biggs of “Eat Cambridge” Festival, the Cambridge Bake Off will see contestants go head to head through four exciting sweet baking rounds, culminating in a grand finale at the city’s Big Day Out in July. It’s also supported and promoted by the Cambridge Evening News and my Cambridgeshire Journal Editor, the lovely Alice Ryan is supporting this event with her fab team throughout the coming weeks. 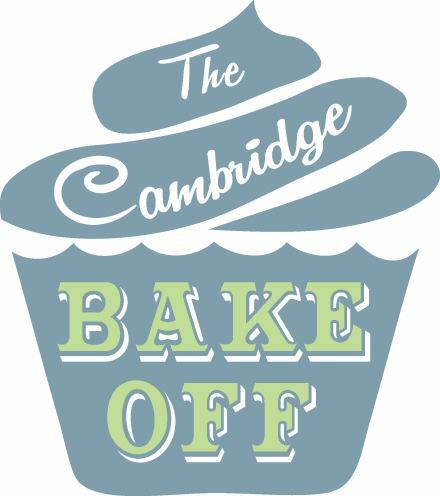 This competition will offer a chance for amateur bakers to show off their cake-making skills (and win some amazing prizes), the event’s judging panel will include myself and Cambridge Cookery School’s Tine Roche, as well as John Adamson from Tucker Gardner and the gorgeous Debora Bonnes of Biscotti De Debora. 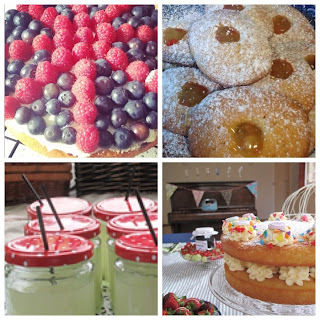 The competition challenges bakers to make a chocolate cake in the first round, a classic Victoria sponge in the second and a cake containing seasonal fruit and crème patissiere in the third. 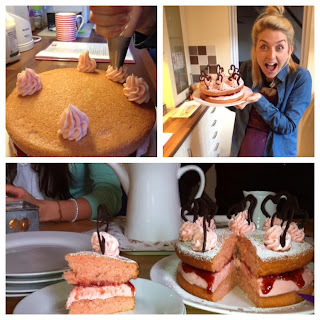 The final challenge will be to create a celebration cake for a summer occasion. 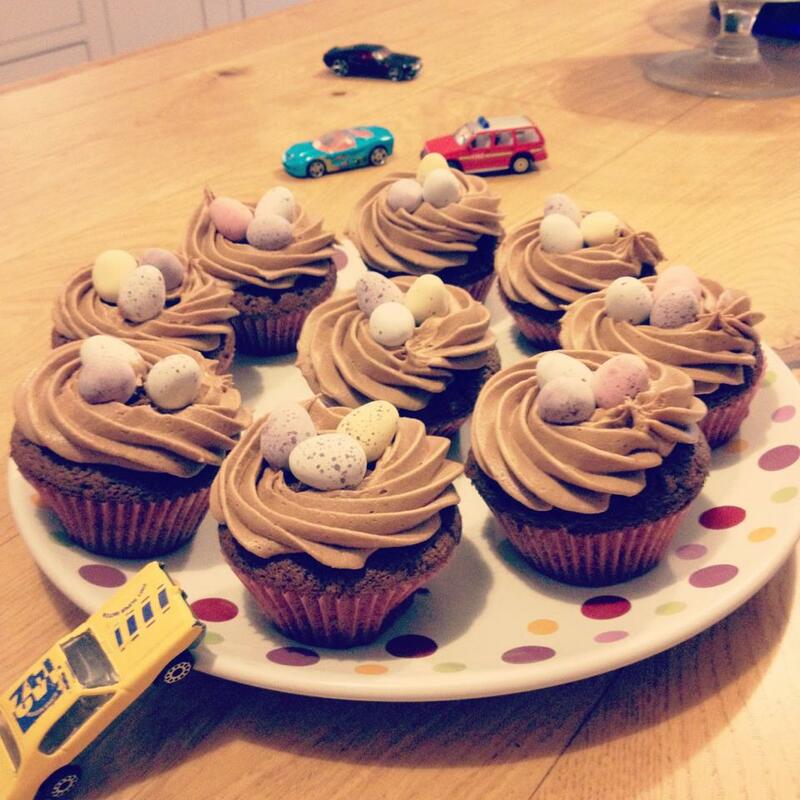 As Alice has already mentions, in true Mel and Sue style: Ready, set… bake! For full details of the contest, the judges (we will all be featured over the next few days and weeks, so watch this space! 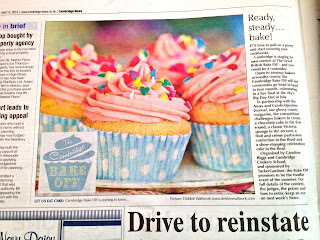 ), the prizes and how to enter, visit www.cambridge-news.co.uk and search ‘Cambridge Bake Off’, with regular updates on Facebook and Twitter… or simply keep an eye on my blog wafflings too… I am sure I will bore you with cake overload over the coming weeks, photos included (naturally! 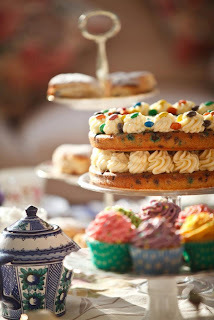 )… I need to get on my bike and start cycling off some calories in preparation.. How on earth does Mary Berry do it?!! the final stage… it’s more than exciting! Could you be the next Jo Wheatley or John Whaite…? The competition is now open… enter HERE. 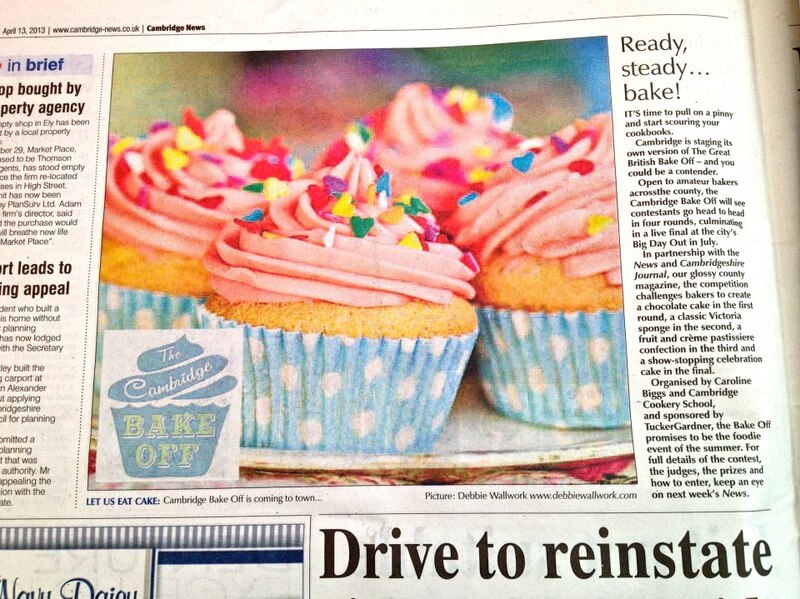 More info on “The Cambridge Bake Off” can be found HERE. 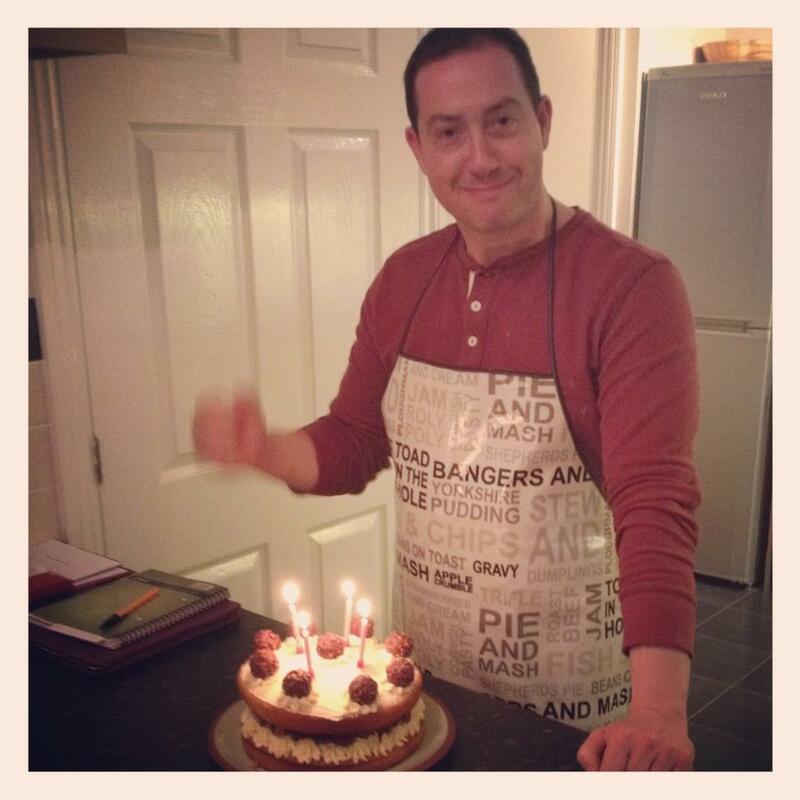 More info on my baking lessons in your own home can be found HERE. See my “Tuck Shop Cake” being prodded by Chris Evans on the One Show HERE. OH MY GOSH! This sounds unreal. How exciting!